Arizona Strikes Back! Ready to Cut Power to L.A. The boycott that Los Angeles is imposing on Arizona has its first victim, the city of Los Angeles itself. The state of Arizona is about to strike back at L.A. again to defend itself. If Los Angeles wants to boycott Arizona, it had better get used to reading by candlelight. 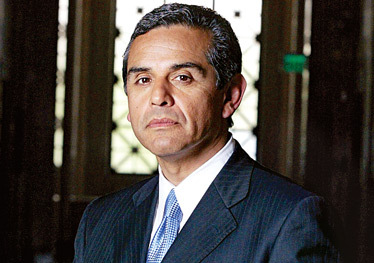 Basically Mayor Antonio Villaraigosa’s bluff has been called. Wednesday, May 19, 2010 \AM\.\Wed\. I have never served in combat or been in a warzone for which I thank God. However, many of my friends are veterans of combat in conflicts stretching from World War II to Iraq. Such an experience marks them. They tell me that they have some of their best memories from their time in service, along with some of their worst. It is a crucible that they have passed through which is hard to completely convey to someone like me who has never gone through it. Usually they do not speak much of it, although often I have seen a quiet pride when they do speak about it: a knowledge that they were given a test on their passage through life and made it through, mingled with sadness for their friends who were lost. They belong to the exclusive club of those called upon to put their lives on the line for the rest of us. They are entitled to respect for their service, whether they are given that respect by the rest of us or not. Brilliantly, smashingly, in this column. That’s Arizona. To the coastal commentariat, “undocumented immigrants” are the people who mow your lawn while you’re at work and clean your office while you’re at home. (That, for the benefit of The New York Times’ Linda Greenhouse, is the real apartheid: the acceptance of a permanent “undocumented” servant class by far too many “documented” Americans who assuage their guilt by pathetic sentimentalization of immigration.) But in border states, illegal immigration is life and death. I spoke to a lady this week who has a camp of illegals on the edge of her land. She lies awake at night, fearful for her children and alert to strange noises in the yard. I could add a lot more, and I may in the days to come. For now, Steyn and others are saying what needs to be said in defense of AZ. Even if you disagree with the law, the way the far-left, and sadly, certain Catholic bishops, are now treating AZ is despicable. There can be no friendship and no discussion with such people. Thursday, January 28, 2010 \AM\.\Thu\. Although I tend to agree with my friend Paul Zummo, the Cranky Conservative, that the State of the Union address is our annual self inflicted ritual of boring torture, I did have the State of the Union on as background noise while I went about other tasks. I was amazed at what a self-indulgent exercise in venting it mostly was. Things haven’t gone Obama’s way, and last night he decided to engage in a little Presidential talk-therapy. The tedious length, reminiscent of some of Bill Clinton’s efforts, indicated that this was an undisciplined opportunity for Obama to lash out at his opponents. Three more years of this should be as much fun for the country as my last root canal was for me. Two points struck me as particularly odd. Obama telling Democrats in Congress that this was not a time to “head for the hills” in panic over the looming elections. This is the type of statement that he might make to them behind closed doors, but certainly not in a State of the Union address so as to remind the nation that Democrats are in panic mode. Doing so will not calm jittery Democrats in the slightest. The second point was his reopening the issue of gays in the military. I could just hear Blue Dogs from Republican areas thinking, “Well thanks Mr. President for driving another nail in my coffin in November!” Obama has obviously decided that if he is going down, he will do so as a champion of Liberal orthodoxy. I doubt if this will please the Democrat members of Congress more rooted in electoral reality. Tuesday, December 29, 2009 \PM\.\Tue\. The epidemics of amnesia, Alzheimer’s, schizophrenia, self-hypnosis, and intellectual doublethink are on the rise in Washington—rising faster, by the calculation of some spectators, than our national debt. It goes without question that there are things on record some would prefer to forget or never have mentioned again. Republican lawmakers, influenced by political expediency or historical confusion, presented themselves in the latter part of this year as the champions of Medicare. The glaring absurdity of GOP Medicare scare-tactics somehow passed under the radar of the majority of critics, who most certainly had their eyes fixed on the Democrats. Tuesday, November 3, 2009 \AM\.\Tue\. Writing about health-care, Paul Krugman asserts that “conservatives … don’t want Americans to have universal coverage” (”The Defining Moment,” Oct. 30). Among the earliest lessons that I teach my freshman economics students are (1) intentions are not results, and (2) to oppose a government program is not necessarily to object to the intentions stated by that program’s advocates. Paul Krugman obviously teaches his students differently, for he clearly believes that (1) if government intends for Americans to have universal health coverage, then the result will be that Americans actually get universal health coverage, and (2) anyone who opposes a government program promising universal health coverage is a person who objects to Americans actually getting universal health coverage.